Welcome to Day #6 of Chocolate and Cinnamon Theme Week. 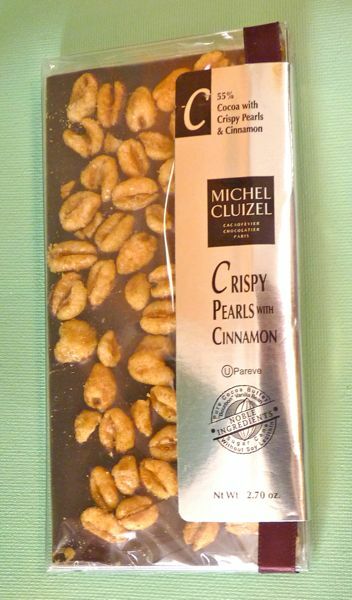 Today's Crispy Pearls and Cinnamon (pareve) chocolate from Michel Cluizel (Paris France/Michel Cluizel USA - West Berlin, NJ) could have been breakfast in a bar. The chocolate bar base had a darker roasted flavor than the 55% cocoa would have indicated, with a hint of coffee. Pressed into the back of the bar was a small cup's worth of puffed, lightly sweetened rice cereal that looked a bit like puffed wheat to me; but the ingredient list did say puffed rice. 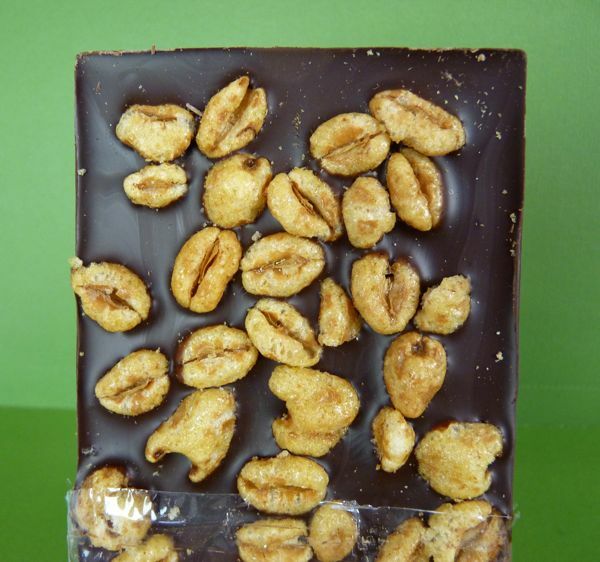 The cinnamon flavor was evenly present throughout the bar without being too overpowering.